Gemstones have been admired for their beauty since the beginning of civilisation, and have always been worshipped in one form or another! This has evolved from the very literal worship which took place in ancient civilizations across the world, to a much more figurative adoration and desire for these stunning natural treasures. 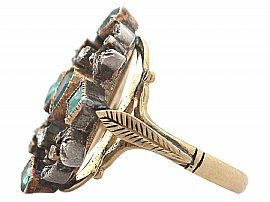 There are a multitude of types of gemstone, and the variation between each of these types of stone could be considered categories of gem unto themselves. 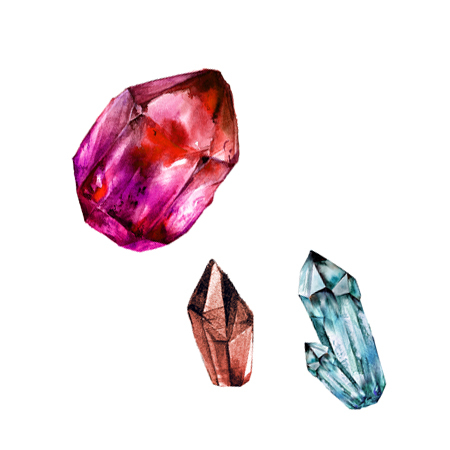 For example, the tourmaline can be any of a huge spectrum of colours, and quartz is valued differently depending on the colour which it assumes and the intensity or saturation of this colour. Although the entire field of gemmology is dedicated to the precise study and analysation of gemstones, when it comes to choosing stones for yourself or a loved one, the decision is entirely personal and objective. Often personal preference with regards to colour is the main deciding factor when selecting a gemstone or a piece of gemstone jewellery. This can be based on sentimental attachments to certain colours, religious or personal beliefs or simply a lucky or favourite tone! It is crucial to understand the qualities of these stones. This is especially true if you decide to purchase an item of gemstone jewellery that you intend to wear frequently, that you hope will last for a lifetime, or anticipate to pass on to future generations. To indicate a gemstone’s hardiness (how fragile and practical it is), the Moh’s scale can be used. This scale measures a mineral’s hardiness by analysing the level of scratch resistance in comparison to other, harder materials such as diamonds. The ‘top 3’ gemstones are undeniably the Ruby, Sapphire and Emerald. Ruby and Sapphire have an identical hardness of 9-9.5 (out of 10) as they are formed within the same mineral ‘Corundum’, with Emeralds scoring 7.5-8 on the Mohs scale. These scores are an excellent indicator of practicality, especially if considering purchasing a gemstone engagement ring, which is likely to be worn every day and will come under more wear and tear than jewellery items that are only saved for those special occasions! 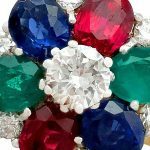 A contributing factor to the success of these gemstones is their highly saturated pigment in red, blue and green. These are often cited as personal favourite colours and also compliment the gold or silver toned setting in which most jewellery utilises. There has however, been a recent increase in the interest of less popular gemstones that display more unusual colours such as the less saturated amethyst, aquamarine, citrine and topaz. 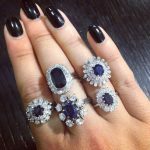 The influx in popularity of these stones is in no doubt partially due to the current demand for gigantic gemstones, often worn as solitaire rings. 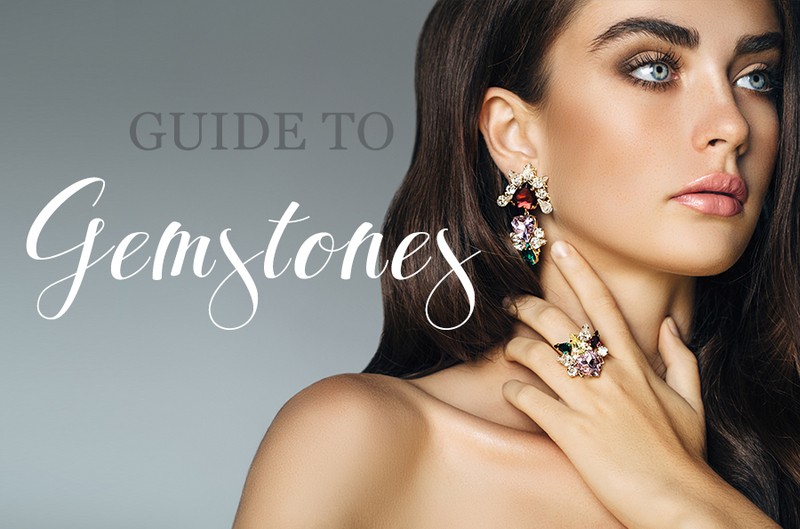 The fashion for these gargantuan stones means that jewellery makers have taken advantage of the relative affordability of these less common gemstones, and used this to their advantage, showcasing how spectacular these stones can be. 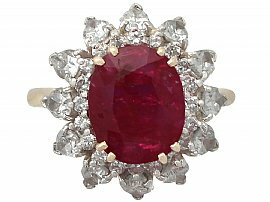 Rubies are the most popular gemstone in the world, and the most highly sought after, often with the largest and best quality examples breaking former auction records when sold. The July birthstone is said to represent all kinds of positive virtues, the most obvious being love, as well as good fortune, health and wisdom. With its vibrant red hue, the ruby is still very much cherished in the east as a symbol of good luck and prosperity. 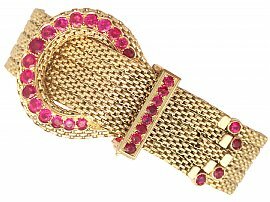 In ancient Hindu culture, rubies symbolised power, passion and protection and were known as ‘Rajnapura’ or the King of Gems. The heat treatment process simply heightens the saturation of the colour of a stone, and is incredibly common practice. The most desirable tone for a ruby is known as a ‘pigeon blood’ colour – a deep, true red. 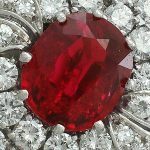 When considering purchasing a ruby gemstone or item of ruby jewellery, it is important to consider whether or not the stone has had any form of heat treatment. 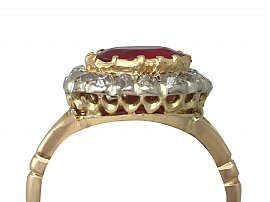 Although, technically this is considered a completely natural process- is still classed as interfering with the natural state of the ruby. 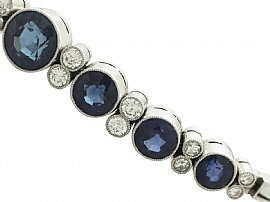 Sapphires are considered to be a romantic stone, and have been admired for centuries. The Catholic Church considered the Sapphire a holy stone, and that the blue of the sapphire reflected and represented the heavens, while Ancient Queens and Kings believed that Sapphires kept them safe from harm. 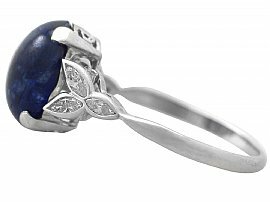 The blue of the sapphire is often associated with calming and restorative properties, and the September Birthstone has many famous fans. The British Royal family have helped to maintain its popularity within engagement rings – with both Prince Charles and Prince William opting for Sapphire engagement rings for their loved ones. 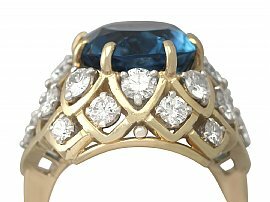 Sapphires vary in colour, and a very saturated hue is considered to indicate a better quality stone, although choice of shading is ultimately a question of personal preference. Some love the dark indigo; almost black gemstones, whereas others adore the lighter, paler stone. 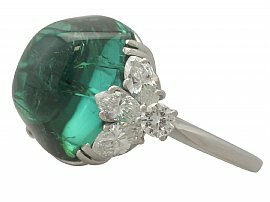 Emerald is the traditional birthstone for May. This stone is so highly valued and prized, it’s proof that a high quality emerald can – carat for carat – be worth double or triple than a diamond of the same size! The earliest recorded reference to the Emerald was in Aristotle’s writing, in which he expressed his belief that this precious gemstone increased the owner’s likelihood of victory during litigation or trials, and aided in the success of an orator’s speeches. Emeralds have long been associated with fertility, and have connotations with sexuality and reproductive success. It was often given as a gift to couples who struggled to conceive children. Since the Victorian era, the Emerald is also believed to aid those suffering with disorders of the mind such as depression. Emeralds have been adored by many celebrities and famous figures. 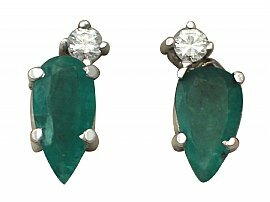 Some of the most glamorous women in history have publicly shown their love for the Emerald stone. Queen Cleopatra was a notable fan of emeralds, and had an inexhaustible supply due to the large emerald mines of Egypt. She was so taken with these stones that she had her likeness carved into Emeralds to give as gifts to dignitaries who visited her land. 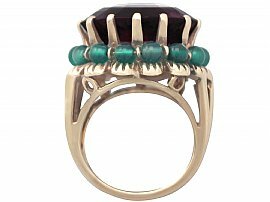 In Ancient Egypt, often the Pharaohs were buried with Emeralds, in the hope that these stones would symbolise their eternal youth when passing into the afterlife. 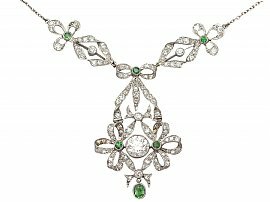 Contemporarily, Queen Elizabeth II owns a large collection of Emerald jewellery, inherited from her grandmother Queen Mary. The Delhi Durbar Tiara and matching earrings are two of the best known pieces and feature especially spectacular emeralds. 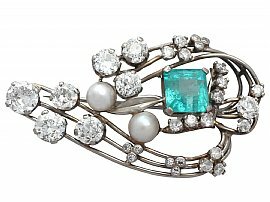 Marlene Dietrich was seemingly a fan of emeralds, she owned a jewellery set of two bracelets and a brooch that featured large cabochon emeralds as the central gemstone. 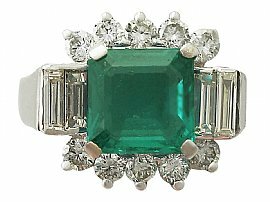 Elizabeth Taylor may be the most notorious fan of emeralds. She was given a large emerald and diamond necklace as a wedding present from Richard Burton. Later, matching earrings, a bracelet and a ring were all added to the magnificent jewellery collection she famously owned. Opals are a very popular choice of gemstone, and have been admired for their unique play of colour and luminosity. 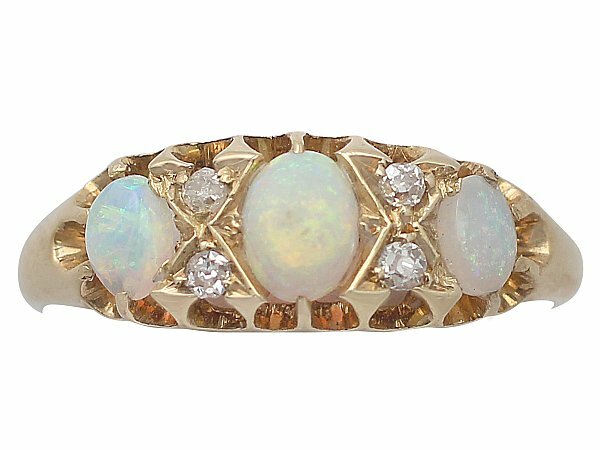 Opals are the traditional birthstone for the month of October, and have a great deal of myths and beliefs attached to them, no doubt in part due to their stunning appearance, and relative fragility to other gemstones. Opals were considered to be bad luck during the 17th and 18th century, this is in no small part due to the difficulty that jewellers had in setting them into items of jewellery. Opals are usually cut in an ovid shape or into a cabochon, which presents the jeweller with the least possible opportunity to break the stone. This also has the benefit of being the best cut to display opals iridescence and play of colour. Opals were believed to possess magical qualities, largely due to the appearance of the stone, which seems to have light and colours trapped inside. Many civilizations even considered the opal to be not of this world, such was their admiration of the spectrum of colours it possesses. 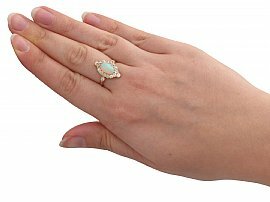 The opal was incredibly sought after during the Victorian era, and continued to be popular in the twentieth century, aided by the famous opal jewellery that was presented to Queen Elizabeth II during her post coronation tour. The Australian government gave the Queen ‘The Andamooka Opal’, which is thought to be the best example of an opal due to its play of colour and its size. 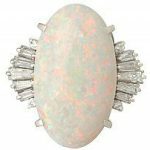 As always, whatever jewels are popular with the royals become popular with the general public, and this naturally was a cause for the rise in popularity of opal jewellery once more. 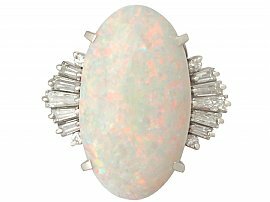 The high water content of the mineraloid makes the opal more delicate in comparison to other stones. Unlike other gemstones, if opals are kept in heat, the moisture that is naturally trapped inside could be dried out, causing the opal to split and fracture. 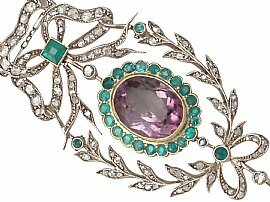 The purple colour of amethysts means that they have long been associated with royalty; during the Georgian and Victorian eras, many members of the British Royal family wore pieces which included this beautiful stone. The Duchess of Cornwall has been seen to wear a ginormous amethyst heart collarette during public events. 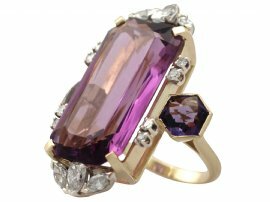 The most intriguing part of the history of amethyst gemstones is that they were believed to guard against drunkenness! 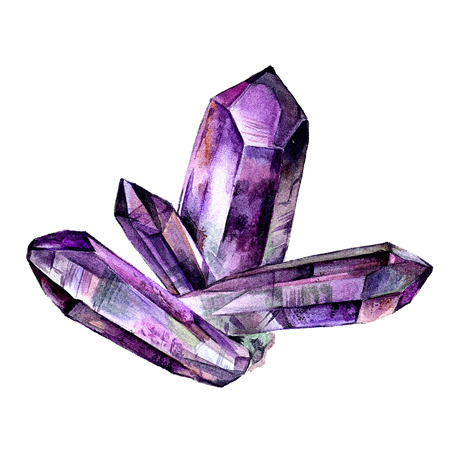 The word amethyst translates to ‘Not Drunk’ in Greek, and ancient warriors would even drink from amethyst goblets before a battle! 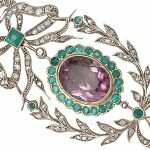 Amethysts continued to be popular into the Edwardian era, and were frequently used in Suffragette jewellery, alongside pearls and emerald or peridot. These gemstones featured the colours that represented the WSP Union’s core moralities: purple signifying dignity, green representing hope and white symbolising purity. 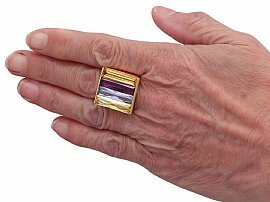 Amethyst is the traditional birthstone of February, and it is a more sensitive stone than some, needing to be stored out of direct sunlight, as this can remove some of its saturation. 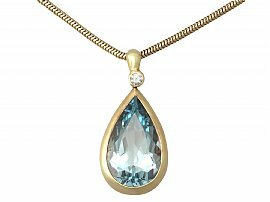 The name ‘Aquamarine’ comes from the Latin term for seawater, and the March birthstone is a highly coveted gemstone, largely due to the widely appealing vivid blue colour of the stone. 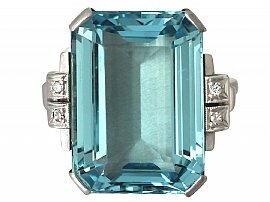 Myths and legends concerning Aquamarine date back as far as the Ancient Romans, who believed that the stone was a talisman for prosperity and success in young love, and it became a gift to be given to the bride the morning after her marriage. The Greeks, certainly due to the stones colour, believed that the Aquamarine should be worn to ensure safe sea travel and that the stone could protect soldiers during battle. 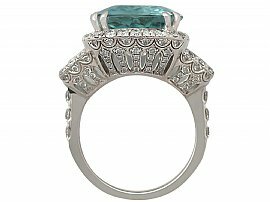 Later, in the medieval age, it was thought that Aquamarine helped to reignite love between married couples. Citrine is a yellow or golden type of quartz, and therefore features many of the properties of the purple quartz (amethyst). Citrine has been used to imitate topaz, and at one time was known as Brazillian Topaz! Citrine is another of the November Birthstones alongside topaz, no doubt due to the similarity of the stones. These stones have seen a recent rise in popularity, due to the increasing demand for yellow diamonds. These yellow stones are now back in vogue, and the affordability of citrine means that large carat weights of these gemstones are widely available. 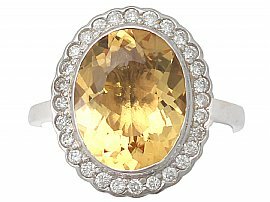 Citrine is often found in large cocktail rings, and suits both yellow gold, white gold or platinum settings. The stone seems to have increased in popularity in the early twentieth century, and is currently experiencing resurgence in demand. Ancient Romans utilised citrine jewellery, and citrine was also popular into the 1800s, and into the twentieth century were often set into large art deco inspired items of jewellery. 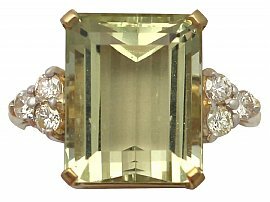 Famously, Greta Garbo and Joan Crawford both wore pieces with citrine stones, which cemented the popular trend. Citrine is said to aid digestive and diseases, and supposedly helps to detoxify and purify the system, helping the liver and kidneys in their natural processes. Topaz is a chameleon of the gemstone world, and is found in a spectrum of colours. The very popular bright blue topaz is indistinguishable to aquamarine when viewing with the naked eye. 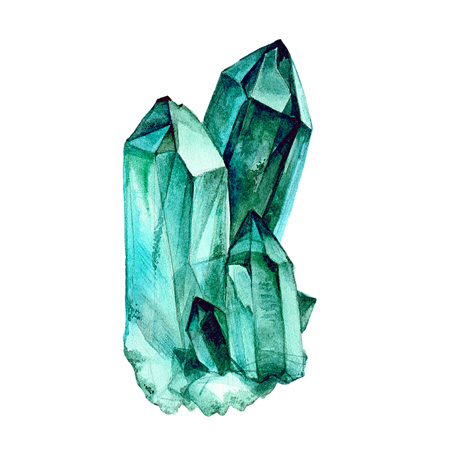 Topaz is believed to have the power to deter poor luck and bad omens, calm anger and heal poor vision. It is also the traditional November birthstone, and is mined all over the world in various qualities and forms. During the 17th century, what was thought to be the largest diamond ever found- the 1,640 carats ‘Braganza’ Diamond – was used to decorate the Portuguese Crown. It is now believed that this was actually a colourless topaz! 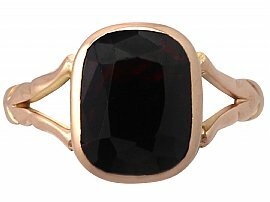 There are many variations and types of stones that are scientifically classed as a garnet stone, but the traditionally recognised garnet is the dark red pyrope garnet, which has a deep, blood red colour. Such was this stone’s prevalence in the mines of Czechoslovakia at one time, that ancient castles of Bohemia were decorated with garnet interiors! Garnet is the traditional birthstone for January, and it is believed to be a protective stone. Christian tradition links the garnet to a symbol of Christ’s sacrifice, due to the colour of the blood red stone. 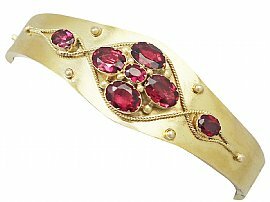 During the medieval era, garnets were thought to cure depression. 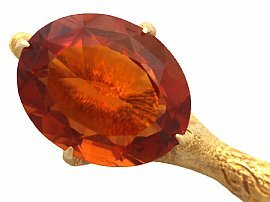 The name ‘garnet’ is derived from the Latin word ‘Garanatus’, meaning ‘seedlike’ – in reference to the garnet’s similarity to pomegranate seeds. Tourmaline can appear as yellow or deep green, but the green colour is far more valuable and the rarer of the two. The green tourmaline was frequently confused with the emerald until the eighteenth century. Tourmaline boats a hardness of 7.5, which is relatively hard for a semi-precious stone. Tourmaline is also another birthstone of October, as well as the Opal. Tourmaline jewellery was popular in the mid twentieth century, and is often used in large, retro style cocktail rings. Peridot is a light, bright green gemstone which is often found in Victorian and Edwardian jewellery, and much like emerald, features in genuine Suffragette jewellery as the green colour represents the ‘hope’ of the WSP’S three core moralities. The Peridot only has a hardness of 6.5 on the Mohs scale, meaning that large peridot stones are not often found and featured in jewellery; it is far more likely to find peridot a small, decorative supporting stone rather than a larger feature gemstone. 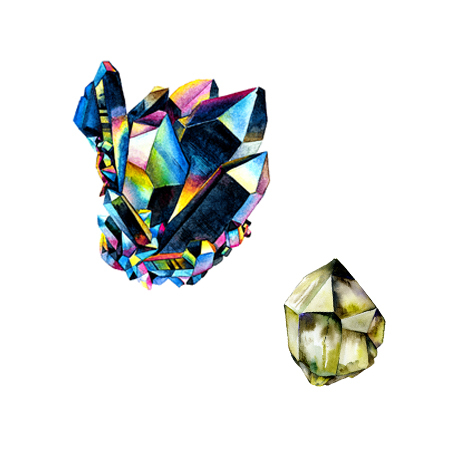 We hope that we have been able to shed some light on the dazzling world of gemstones, and introduced you to some interesting facts and fans of these marvellous stones! As with all jewellery, personal preference is the deciding factor. However, selecting a piece with a personal meaning, such as a birthstone, or one with a symbolic connection to the recipient makes jewellery all the more special and individual.